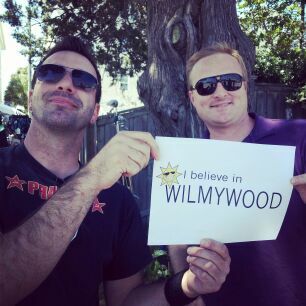 Wilmywood’s Film Peeps of the Day! On a side note, I think it’s kinda cool and interesting that most of the premium cable channels are shooting in North Carolina. Eastbound and Down, Season 4 begins next week, right here in Wilmington. Outside of the Wilmington area, Cinemax’s Banshee continues in Mooresville, while Showtime’s Homeland is just about under way and is casting their stand-ins and photo doubles in the Charlotte area as well. Iron Man 3 box office update: This weekend IM3 pulled in $35.2 million domestically. The domestic total is $337 million. Worldwide, it has cleared ONE BILLION, making it #9 on the list of all time worldwide box office gross. Under The Dome will be shooting on Chestnut St. this morning then they make their company move to the lot later in the day. 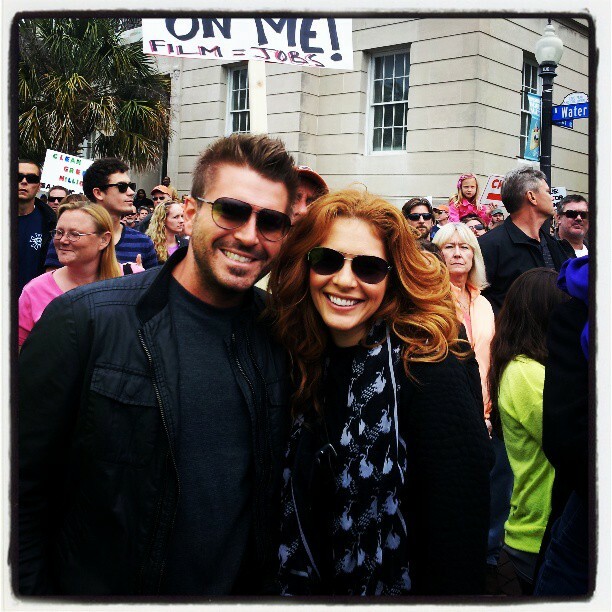 You can catch a glimpse of Rachelle LeFevre, Mike Vogel, Natalie Martinez, and Dean Norris if you are out that way. That just about does it for me; I will have more Wilmywood updates for you tomorrow morning and every morning (Monday-Friday) at 8:30am on Sunny 104.5. Got Scoop? Email me: sheila@1045sunnyfm.com. Or message me on Wilmywood’s FB . Until then, that’s a wrap! Happy Friday! A couple of quick notes first. Under the Dome will be in Burgaw all day. If you miss the exclusive preview from the CBS Upfronts I posted yesterday, check it out. Eastbound and Down is still location scouting and casting photo doubles as well as extras. Principal Photography begins May 28th. Tammy gets a late start today as they head over towards the Brooklyn Art District today on N 4th St. They break away for a bit for an additional scene off Farley Drive. You can expect to see Melissa McCarthy and Susan Sarandon on set today. You can also catch Melissa in the latest installment of the delicious Hangover III. Yep the Wolfpack is back in theaters on the 23rd. Third times a charm as Melissa plays the character Cassie in the flick….take a look! She’s at time marker 2:12. A gorgeous start to the day! A huge scene for The Perfect Summer today, and they are encouraging everyone to join in on the fun. 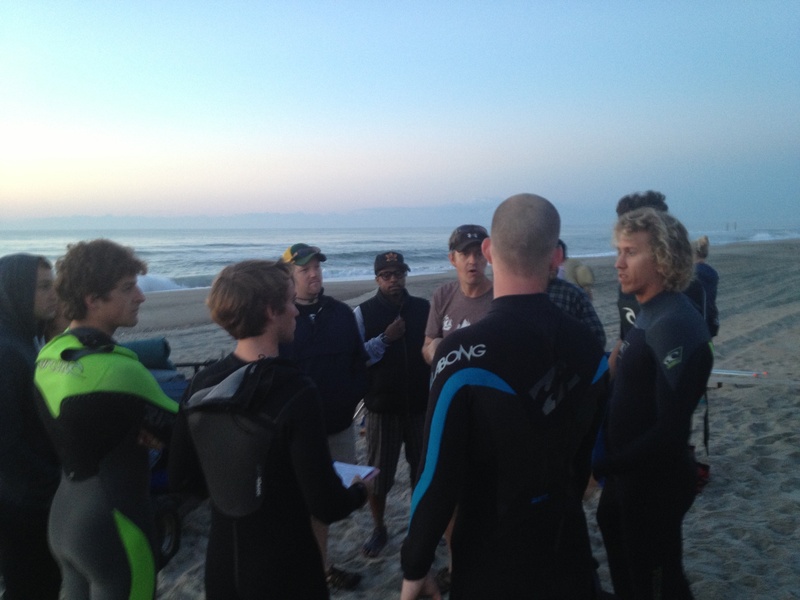 (The location is Wrightsville Beach, the Stone St. access (google it) from 7:30am-3pm) The big beach scene is a surf competition. Eric Roberts and cast will all be out there. Today is not a paid gig HOWEVER Kim from NCasting says she will be signing you guys in & promise to work you on paid jobs like East Bound and Down! All ages are welcome. They begin filming at 6:30 am. You can come and go any time between 6:30am – 3 pm. All beachy type wardrobe: bathing suits with cover ups, shorts, t shirts, sun dresses. No red, no white & no big logos. If you want the shuttle & not pay to park you can come to crew parking every 1/2 hour starting at 6:30 am until 2. 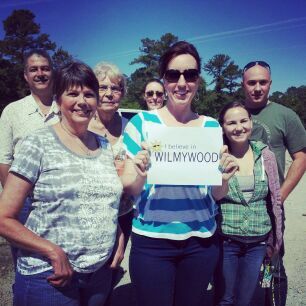 Crew parking is located next to the Wrightsville Beach Museum, 303 W. Salisbury Street. That just about does it for me; I will have more Wilmywood updates for you Monday morning and every morning (Monday-Friday) at 8:30am on Sunny 104.5. Got Scoop? Email me: sheila@1045sunnyfm.com. 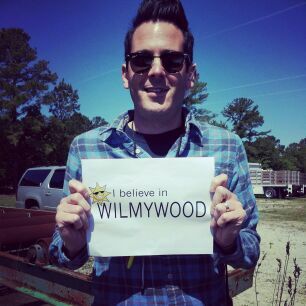 Or message me on Wilmywood’s FB . Until then, that’s a wrap! Toni Collette took some time away from the set of Tammy to head to New York for the CBS Upfronts yesterday as she and Dylan McDermott star in Hostages . It will have a limited 15-episode order. Her co-stars Melissa McCarthy and Susan Sarandon continue filming today in Carolina Beach. They will return to the State Park, then make a company move to Snow’s Cut Park. Continuing with the CBS Upfronts, Under the Dome was presented yesterday at Carnagie Hall. It was well received from those in the audience. I asked one journalist, AJ Marechal from Variety, who was multitasking, blogging and tweeting every detail of the presentation, her thoughts about UTD. She replied with, “intriguing, cool effects.” She is funny as hell and straight to the point. I highly recommend you follow her @Variety_AJM. Under the Dome is shooting on Point Harbor Rd. at the boat salvage yard, then they will head back to the lot. If you would like to be an extra on the show, and haven’t done so yet, they are looking for more new faces for tomorrow’s shoot. Visit NCasting’s FB page for details. 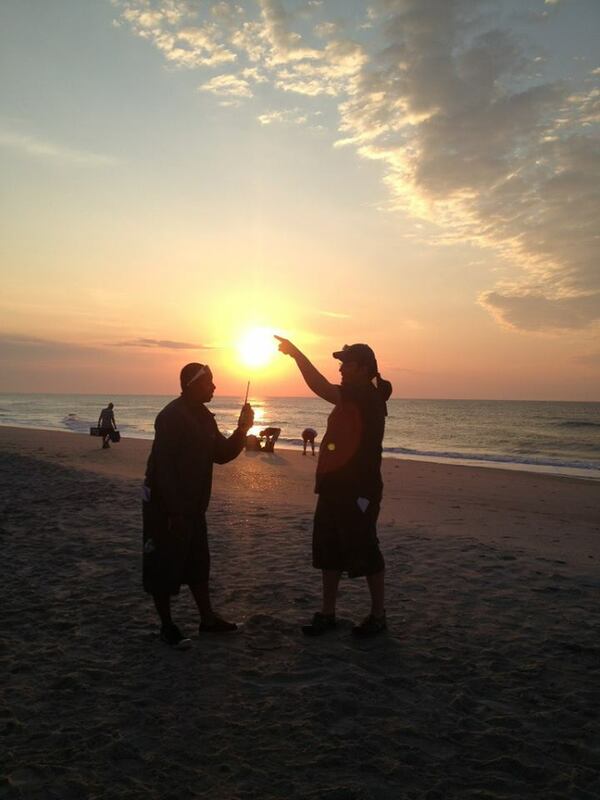 It’s a great day to be a cast and crew member of The Perfect Summer as they are in Wrightsville Beach again today! You will get to see Eric Roberts on set this afternoon and all day tomorrow. Gorgeous weather, so I hope they get some downtime to jump in the ocean today! HBO’s Eastbound and Down is getting closer to their production date and they are scouting your neighborhood! I have heard from two friends now that they want to use their houses for the show. Hey, don’t say no! It’s good money! The Fincannon’s are casting principal and NCasting is casting extras. Production begins May 28th. Well, I have to give a big thank you to a few news outlets for giving some kudos to the surfers. Wednesday, a couple of surfers who were working on The Perfect Summer saved some people stuck in a bad rip tide. See Cassie’s story here in the Star News. This is nothing new, however. If you spend your summer at the beach, you know our awesome surfers save lives every week, even more ofter than our lifeguards. It’s just something they do. They are always scanning the water. They totally deserve the recognition. 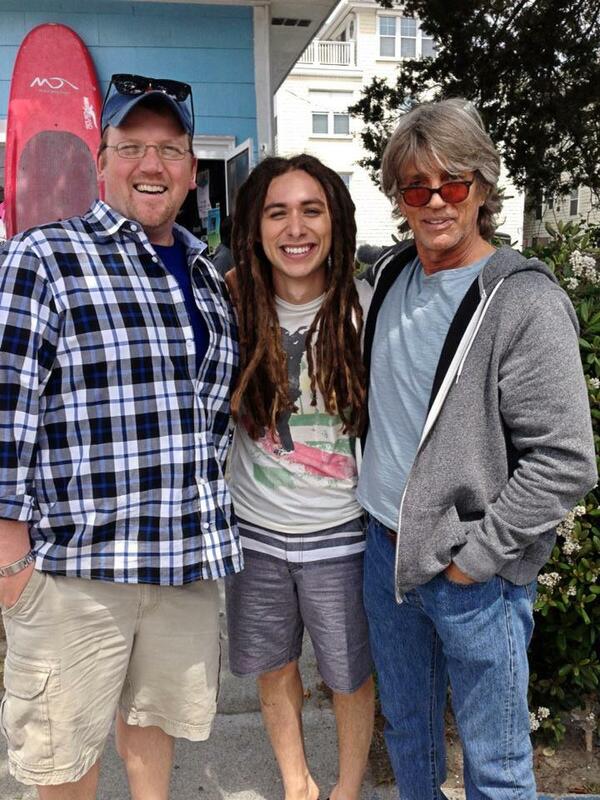 The Perfect Summer, starring Eric Roberts, is shooting in Carolina Beach today. They head over to Fort Fisher tomorrow. Now moving on to Tammy. Looks like Melissa Mc Carthy, Nat Faxon and Toni Collette will be shooting today on Nun St. And speaking of Toni, another star sighting! There was a HUGE buzz in the air at Whole Foods Wednesday around lunchtime. Darcie reports two store employees were excitedly chatting about Toni Collette after one had just rang up her purchase. Love it! There’s going to be star sighting GALORE this weekend. Not only due to all the stars filming, but POP CONNING as well. Dozens of stars are here now and are gearing up for tonight as Day 1 of Port City Pop Con begins! Michael Biehn, Ernie Hudson, Dee Wallace, Margot Kidder, Camden Toy, Scott Grimes, Bob Guiney, Rob Wiethoff (John Marston RDD), Robbie Rist (Oliver, Brady Bunch). Great line up! I will definitely see you there! That just about does it for me; I will have more Wilmywood updates for you tomorrow morning and every morning (Monday-Friday) at 8:30am on Sunny 104.5. Got Scoop? email me: sheila@1045sunnyfm.com. Until then, that’s a wrap!